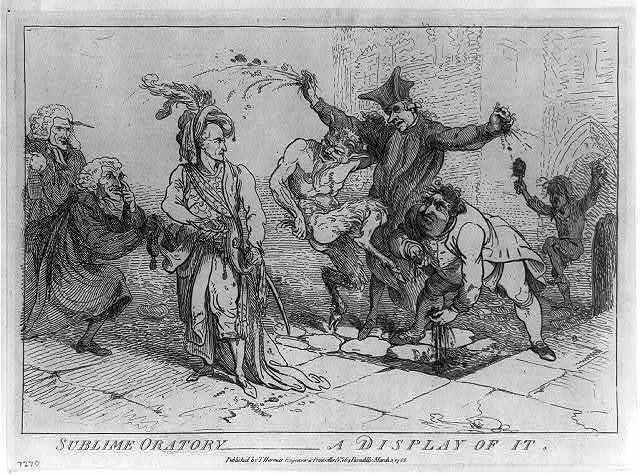 Print shows Edmund Burke sitting at a desk on a crescent moon, holding a quill pen, an open "pamphlet" and an inkwell are on the desk, broken chains hang from his wrists; a scene on the front of the desk, labeled "French Revolution" shows a woman holding a liberty cap and a crown, standing on a man holding a chain. A view of the tryal of Warren Hastings Esqr. 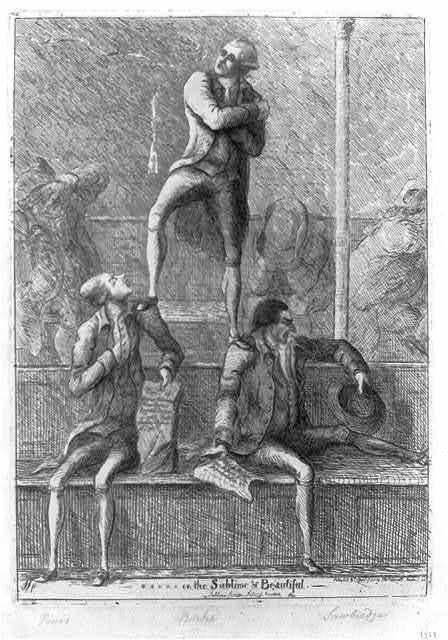 before the Court of Peers in Westminster Hall on an impeachment delivered at the Bar of the House of Lords by the Commons of Great Britain in Parliament assembled February 13, 1788 / drawn by E. Dayes ; engraved by R. Pollard, aqt. by F. Jukes. 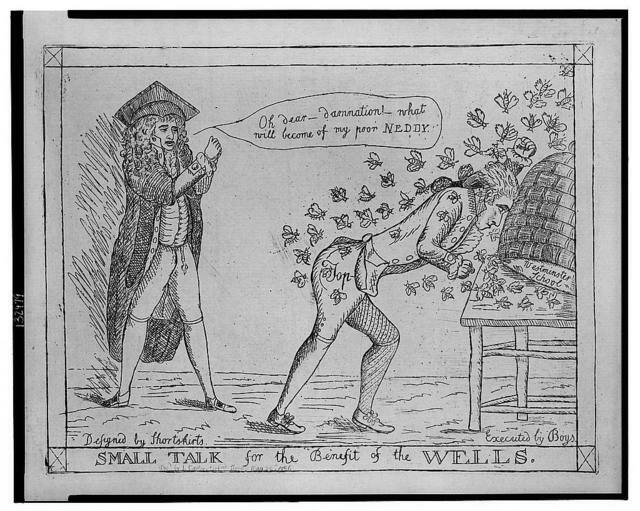 Small talk for the benefit of the Wells / designed by Shortskirts ; executed by Boys. 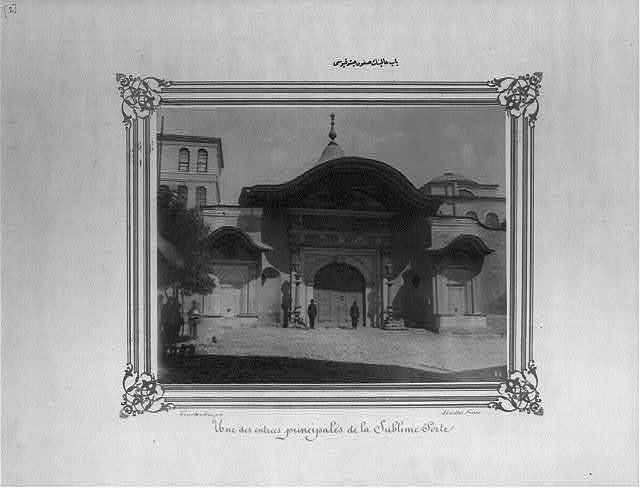 [The Sadaret gate of the Sublime Porte] / Abdullah Frères, Constantinople. 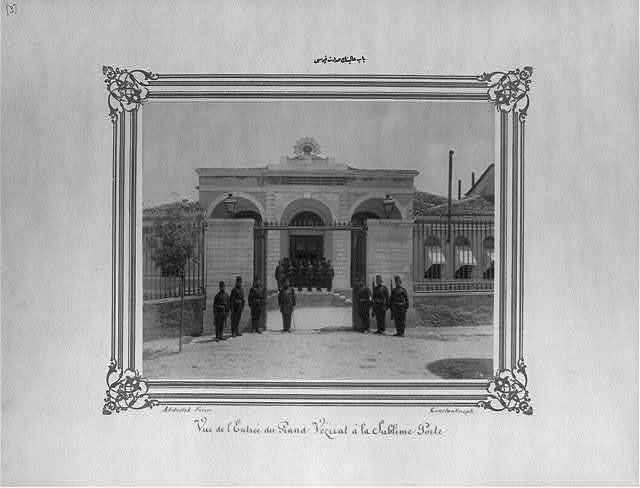 [The Soğukçeşme gate of the Sublime Porte] / Constantinople, Abdullah Frères. 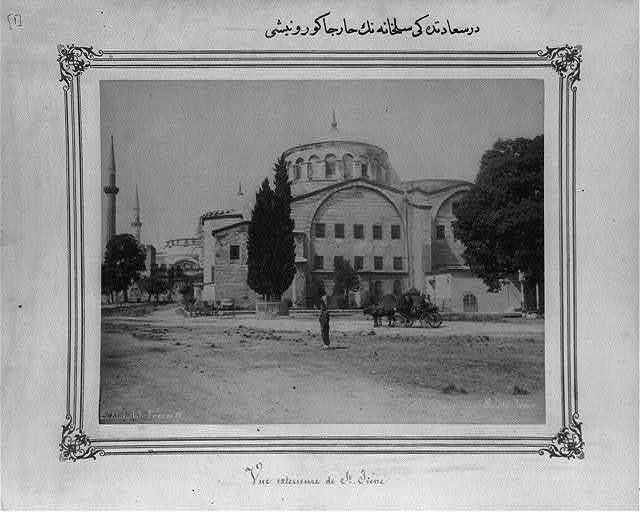 [The Council of State of the Sublime Porte] / Constantinople, Abdullah Frères. 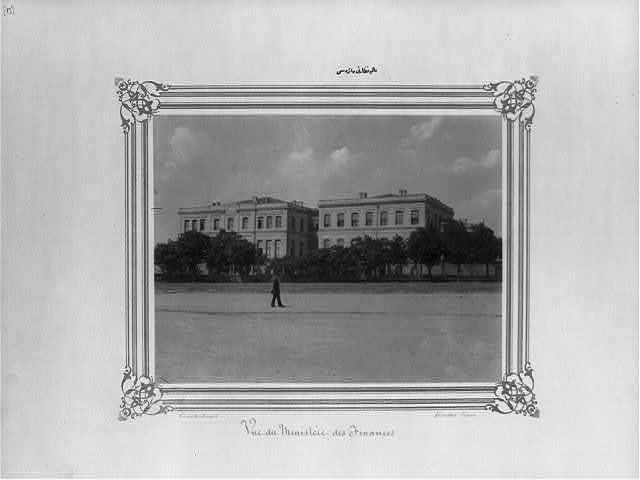 [Exterior of the armory in the Sublime Porte] / Abdullah Frères. 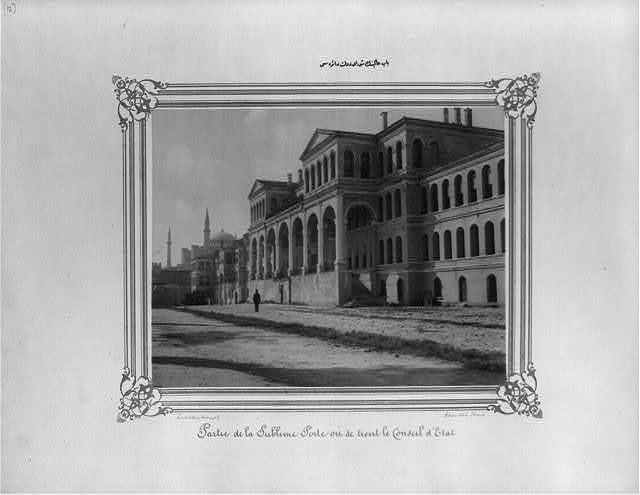 [The Ministry of Finance of the Sublime Porte] / Constantinople, Abdullah Frères. Printers' ode. 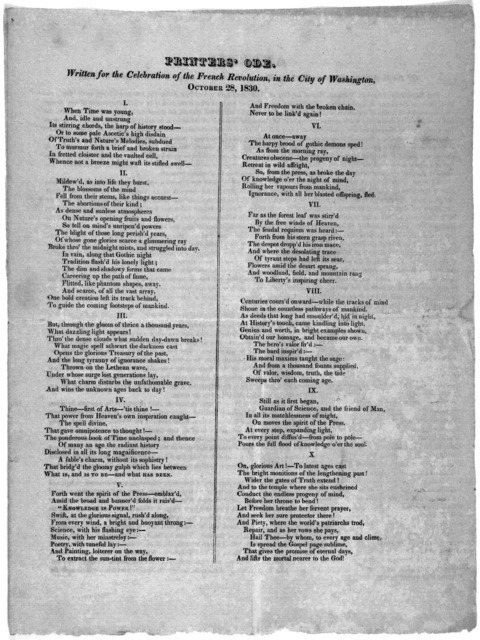 Written for the celebration of the French revolution, in the City of Washington, October 28, 1830.